General Mills Canada has managed to connect with a dad's desire to engage with his child in a fun way without degrading dads in their new campaign #HowToDad. The new commercial on YouTube reveals exactly what we at NFI hope other brands will do...show a dad as a fully functioning and capable parent...without degrading anyone in the family. The #HowToDad campaign was created by Tribal Worldwide Toronto and features a YouTube video showing dads parent differently. The video points to HowToDad.ca for more dad-content. “It just made sense to declare Peanut Butter Cheerios as ‘The Official Cereal of Dadhood,’ because like great dads, Peanut Butter Cheerios lie somewhere in the intersection of awesome and responsible,” says Josh Stein, creative director, Tribal Worldwide Toronto. “Dads are awesome and it’s awesome to be a dad." The campaign mentions that today, dads play a significant role in raising children, and celebrate their contribution. We are presenting General Mills Canada and Tribal Worldwide our NFI Fatherhood Award later this week. Stay tuned to #howtodad on social for more details. The new commercial opens with the dad asking, "Why should you be proud to be a dad?" He answers his own question, "You know why...because our kids think we're awesome!" 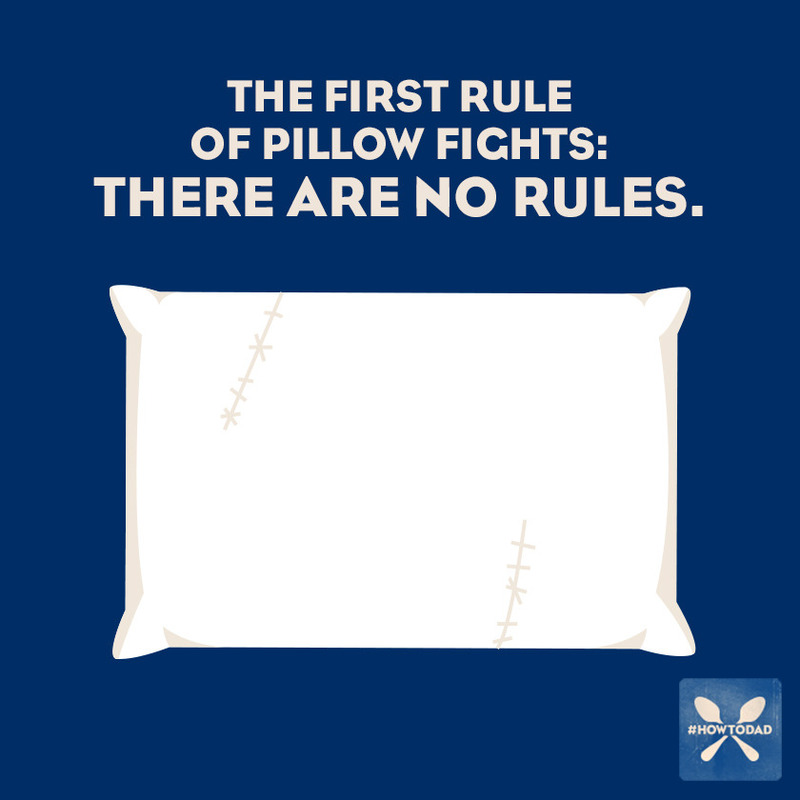 What continues is pure genius in its simplest form. The commercial follows dad as he walks through the house and back-yard explaining how awesome dads are...like Peanut Butter Cheerios! Watch the full commercial here. 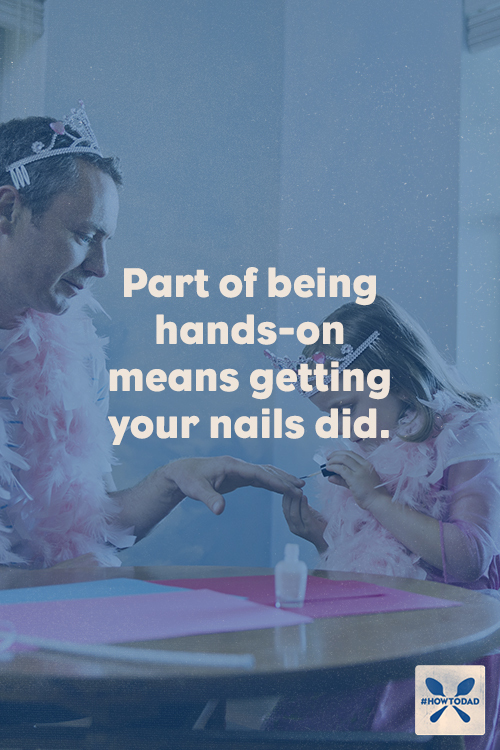 At NFI, we know more and more dads like you are experiencing the satisfaction and reward of taking a more active role your child's life...and us dads should be celebrated. I love this commercial for its real portrayal of a dad and family. Tribal didn't pick the dumb dad or the passive dad routine to be "funny". Watch closely as the dad in this commercial grabs coffee and passes it to his wife. He says, "Hot stuff coming through...the wife and the coffee." One of the best things you can do for your child is to love and respect mom. If you're a single dad, my guess is that respecting your child's mother is still a good idea. We've said it before but it's worth repeating: When a child sees parents respecting each other, he or she is more likely to feel accepted and respected. We've written plenty on protecting your marriage. How a dad spends his time tells his child what's important to him. If you're "always" busy, your child will feel neglected. Say, "I love you" all you want, but your child will not feel loved. Loving your child means sacrificing other things, but it is essential to spend time with your child. It also means doing things out of your comfort zone. It means doing things that you aren't super-interested in—but you'll get interested—because your child is. Kids grow up quickly; missed opportunities are exactly that—missed. 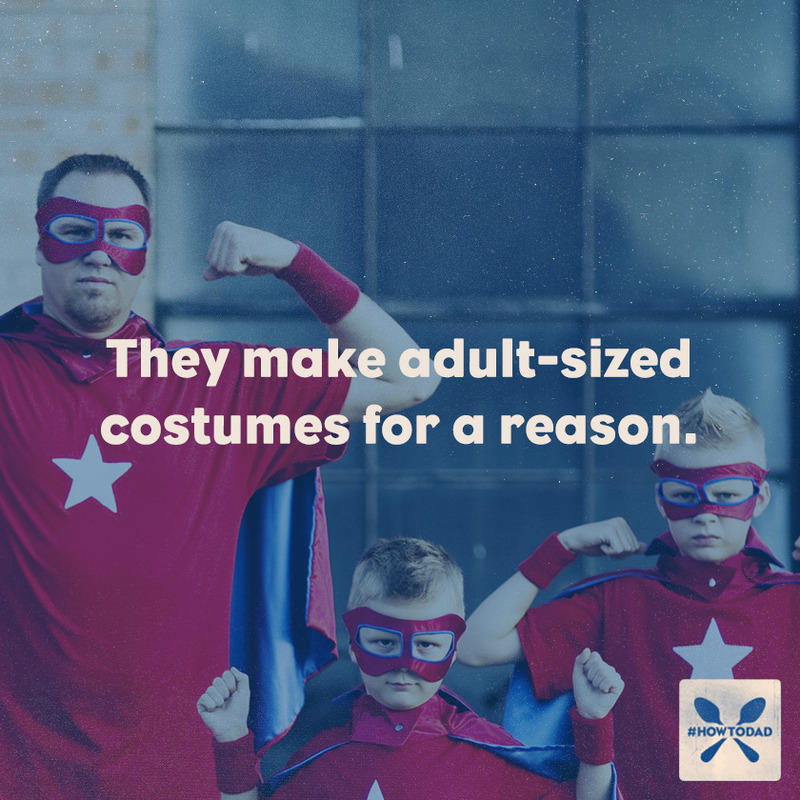 Beyond these 7 Ways to Connect with Your Kids, understand like Cheerios says, "An Awesome Dad 'Never Says No to Dress Up'" and "An Awesome Dad Builds the Best Forts." In some cases, the only time a dad talks to his child is when he or she gets in trouble. Take time and listen to your child's ideas and problems. Listening helps them feel respected and understood. 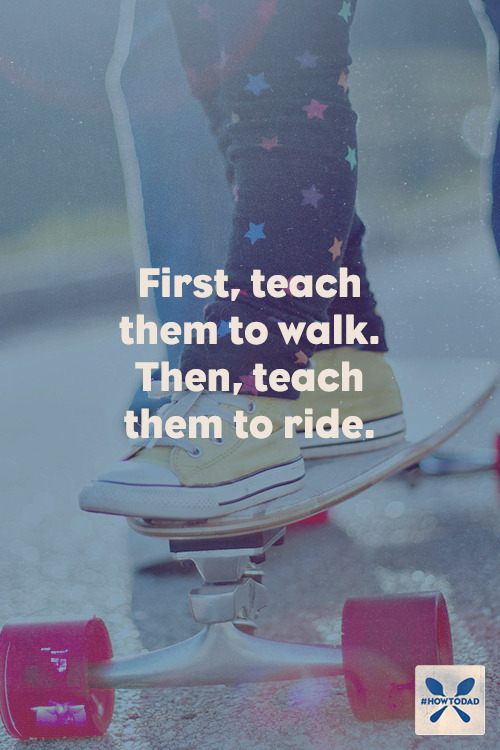 Begin listening and talking with your child when he or she is young so when difficult subjects arise, they will be easier to handle as they get older. 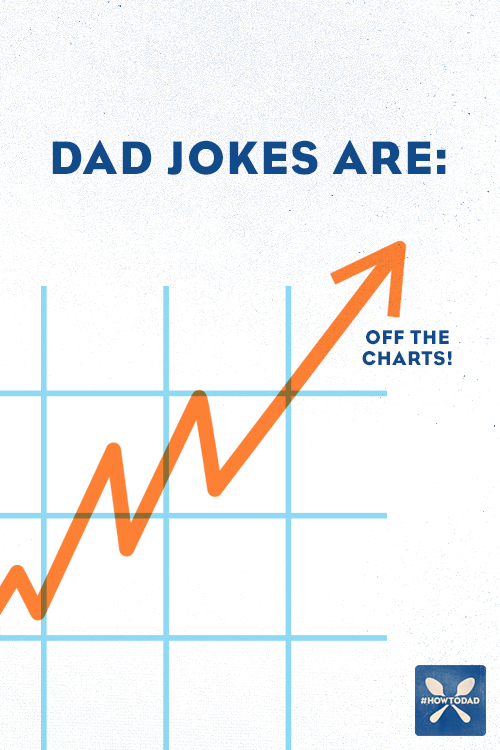 Or, just tell hilarious jokes...because that's what awesome dad does! All children need guidance and discipline, not as punishment, but to set reasonable limits. 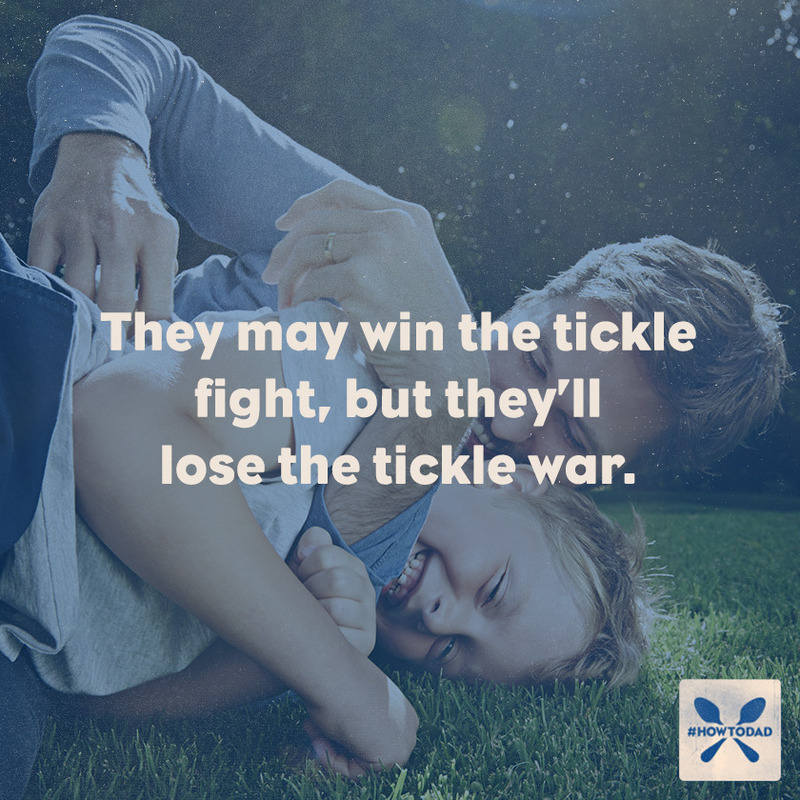 Remind your child of the consequences of his or her actions and provide meaningful rewards for desirable behavior. A dad who disciplines in a calm and fair manner shows he loves his child. Get our 8 Things to Know About Disciplining Your Child. Said another way: An awesome dad knows how and when to discipline. 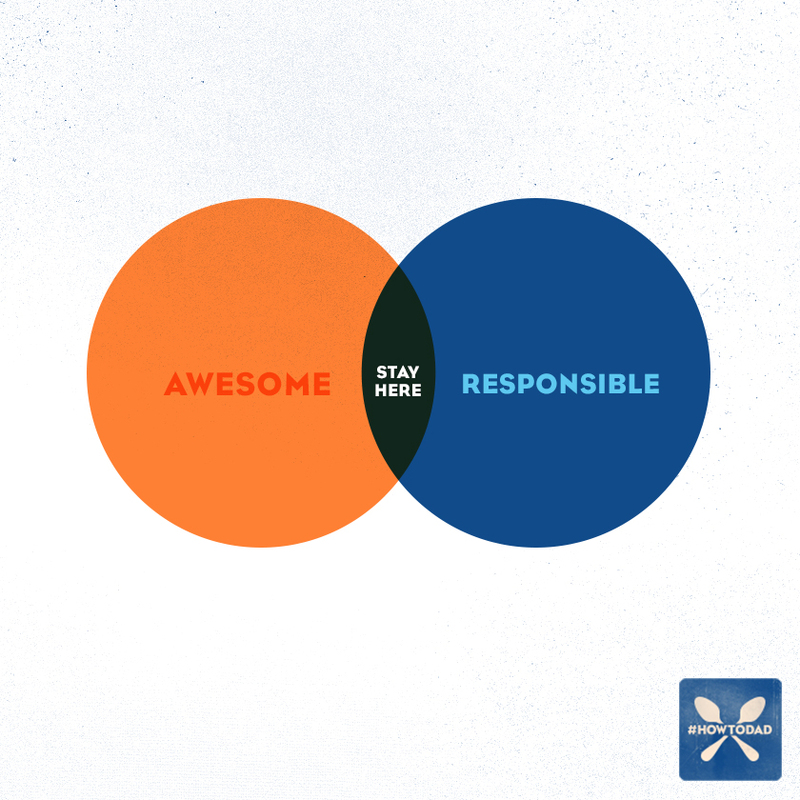 "Because being awesome isn't about breaking rules—it's about making them." A dad is a role model to his child, whether he realizes it or not. A girl who spends time with a loving father grows up knowing she deserves to be treated with respect by boys, and what to look for in a husband. A dad can teach his son what is important in life by demonstrating honesty, humility, and responsibility. Here's a great example of a role-model dad in case you need one. Sharing a meal together can be an important part of healthy family life. In addition to giving structure to a busy day, it gives your child the chance to talk about what his or she is doing and wants to do. It is also a good time for dad to listen. Most importantly, it is a time for families to be together each day. In a world where television and technology dominates, it is important that dad reads to his child. Read to your child when he or she is young. Instilling in your child a love for reading is one of the best ways to ensure he or she will have a lifetime of growth. We wrote a little something called 6 Tips on How to Show Your Child Reading is Awesome. Let's be honest, it's helpful. In other words, as dads, we "blow their minds." Your child needs the security that comes from knowing he or she is wanted, accepted, and loved. Dad, get comfortable hugging your children. Showing affection every day is the best way to let your child know he or she is loved. Remember as the commercial points out, "They (kids) look at us the same way they do superhero's...up...because we're taller." Even after your child is grown and ready to leave home, he or she will still look to you for wisdom and advice. Whether it's continued schooling, a new job or a wedding, you continue to play an essential part in the life of your child as he or she grows. Work hard. Dad hard. You can submit for #HowToDad here. What's the one thing on this list you find the most rewarding?